April 5, 2019, 12:00am EDT October 29, 2019, 11:59pm EDT $25.00 Race Fee + $2.50 SignUp Fee ? October 30, 2019, 12:00am EDT November 28, 2019, 11:59pm EST $30.00 Race Fee + $2.50 SignUp Fee ? November 29, 2019, 12:00am EST January 1, 2020, 11:59pm EST $35.00 Race Fee + $3.00 SignUp Fee ? January 2, 2020, 12:00am EST January 4, 2020, 6:00pm EST $40.00 Race Fee + $3.00 SignUp Fee ? We support our first responders and we want to give back. If you're police, fire rescue, EMS, or U.S. military, you will receive a discounted registration. To qualify for this discount, you'll be required to show your badge or military ID..
April 5, 2019, 12:00am EDT January 2, 2020, 6:00pm EST $20.00 Race Fee + $2.50 SignUp Fee ? A 3 Race packages races in (2) Cocoa Beach & (1) Cape Canaveral that take place January 5, March 9, and April 27th. Run or walk all three races to earn the New Beachside Trifecta Series Tiki medal! Races benefit Survive First a nonprofit organization, whose mission is to assist first responders and families who need mental health support from the impact of Post Traumatic Stress Disorder, depression, and substance abuse. ; Cocoa Beach Jr/Sr High School's Project Graduation, a safe, alcohol-free post-graduation event for our graduating seniors; and youth through programs such as the Naval Sea Cadet Corps, Junior ROTC and Young Marines as well as other local Navy League projects including Submarine/Ship commissioning at Port Canaveral and supporting Active Duty service members. 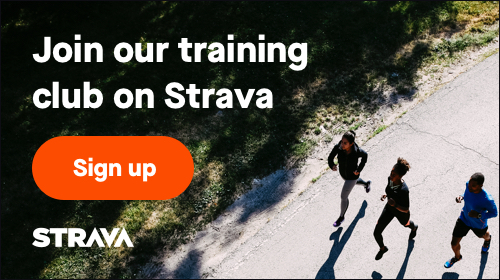 April 5, 2019, 6:43pm EDT January 2, 2020, 6:00pm EST $80.00 Race Fee + $4.80 SignUp Fee ? Must be 15 and under to register for this event. April 5, 2019, 1:46pm EDT October 29, 2019, 11:59pm EDT $15.00 Race Fee + $2.50 SignUp Fee ? October 30, 2019, 12:00am EDT November 28, 2019, 11:59pm EST $20.00 Race Fee + $2.50 SignUp Fee ? November 29, 2019, 12:00am EST January 1, 2020, 11:59pm EST $25.00 Race Fee + $2.50 SignUp Fee ? January 2, 2020, 12:00am EST January 2, 2020, 6:00pm EST $30.00 Race Fee + $2.50 SignUp Fee ?